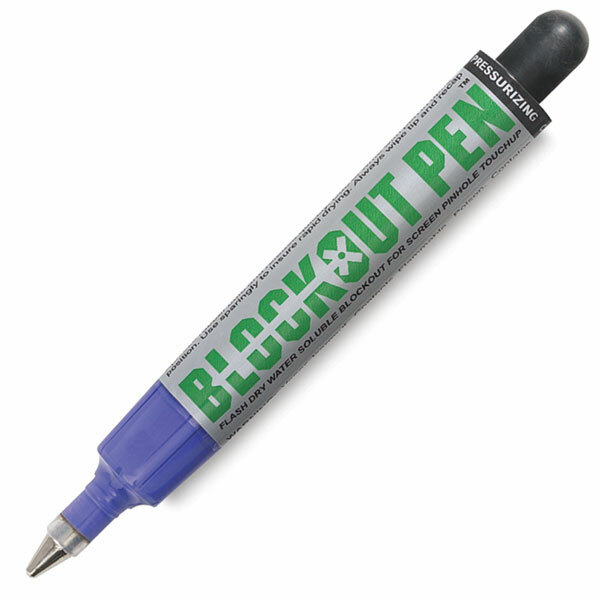 For spotting pinholes and quick-fix repair of minor screen breakdowns. Replaces masking tape for jobs in progress. Blocked out pinholes will stand up to repeated screen wipings. Flash dry, water-water-soluble. A quick drying (15 to 20 minutes) blockout. Recommended for use during screen preparation. Works with all stencil systems. Resists water based, plastisol, UV, and some solvent based inks. Reclaims with stencil remover.